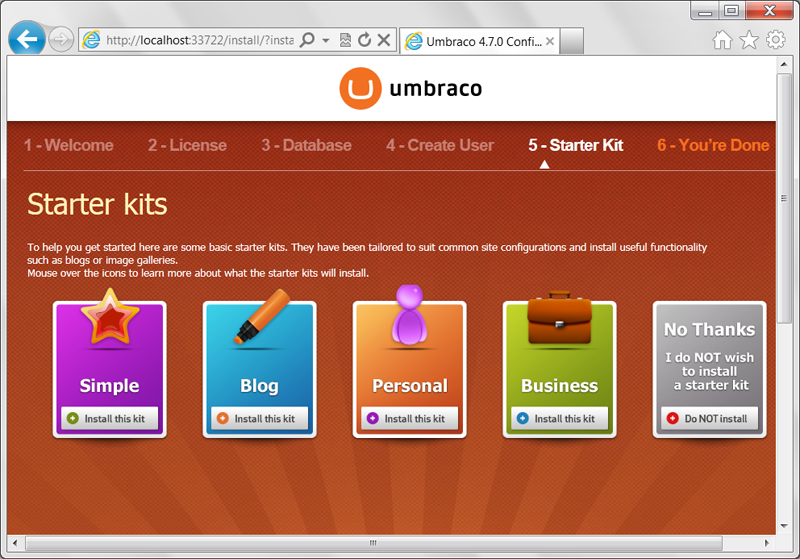 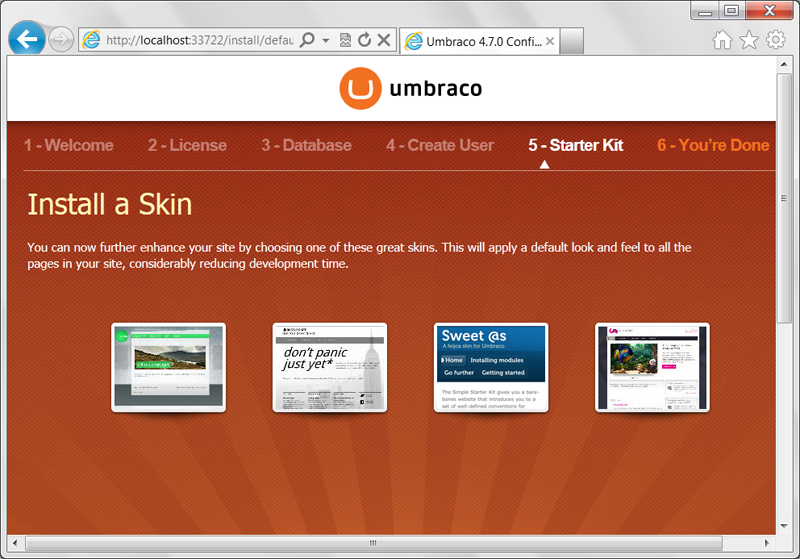 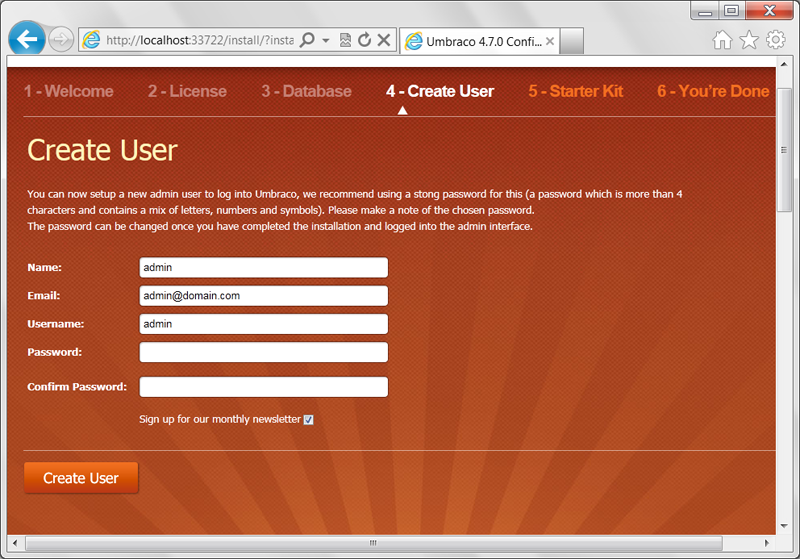 Here, I am going to create a new blank Mvc4 Project in Microsoft Visual Studio 2010 and then I will add Umbraco 6.0.3 package to it. 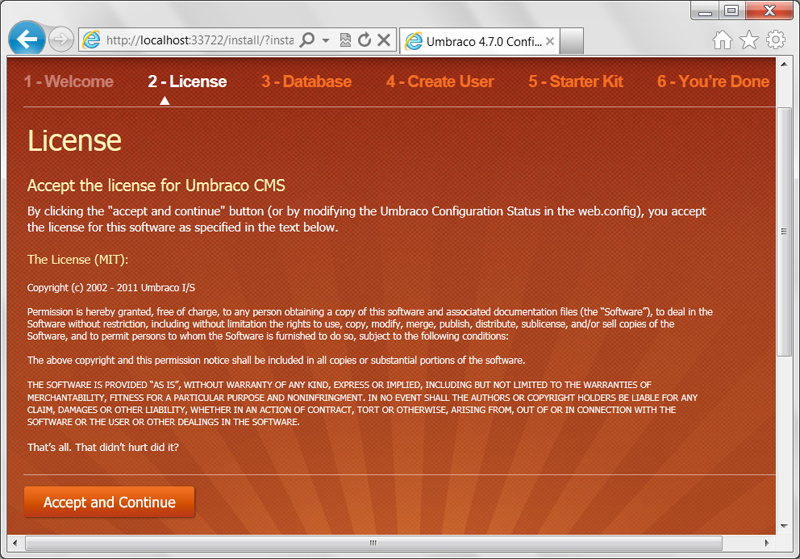 In this process, unfortunately, you may encounter couple of bugs, which have been highlighted in yellow. 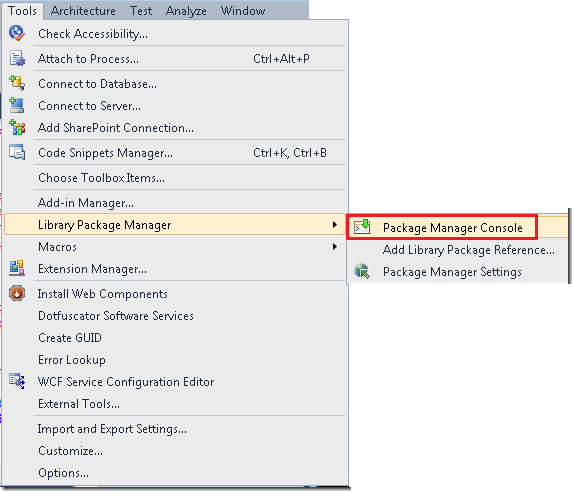 Create an empty MVC 4 project in Visual Studio. 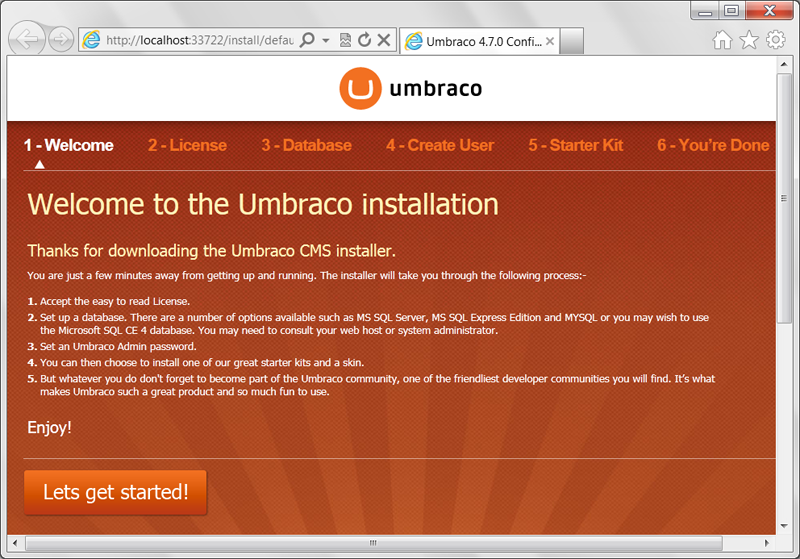 Download and copy all the files from the Umbraco installation ZIP archive directly into your project in Visual Studio except the App_Code and Bin folders – you won’t need the binaries as they are managed by NuGet and the App_Code folder is not used in a web application project. 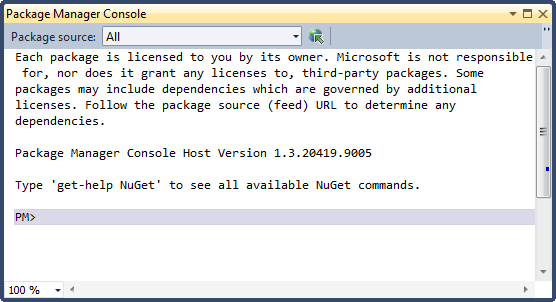 Unfortunately, if you run the application now, you may encounter the error ApplicationException: The current httpContext can only be set once during a request. 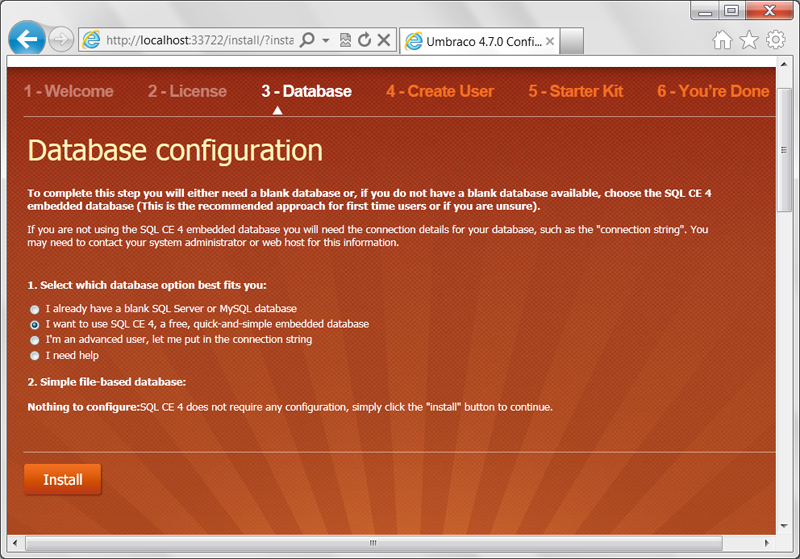 The solution is to do the following in the web.config file. 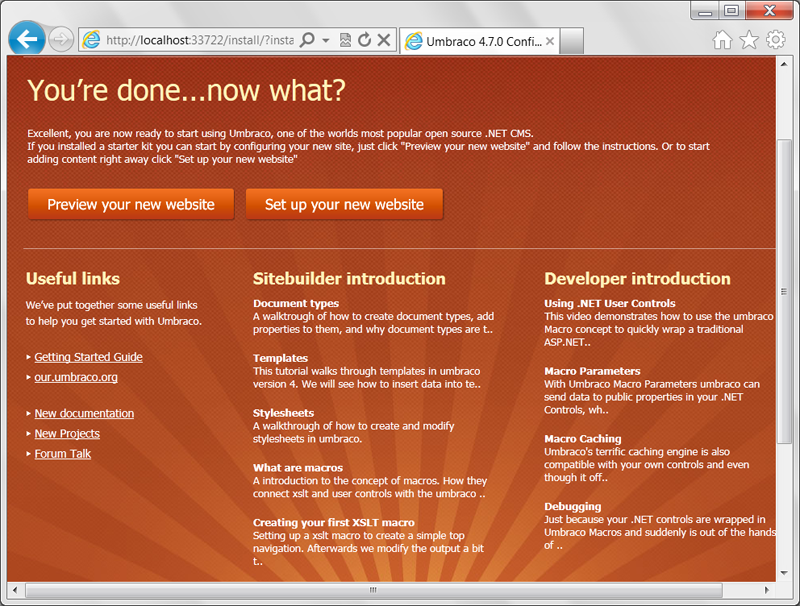 Copy the httpModules tag and keep it handy for later use. 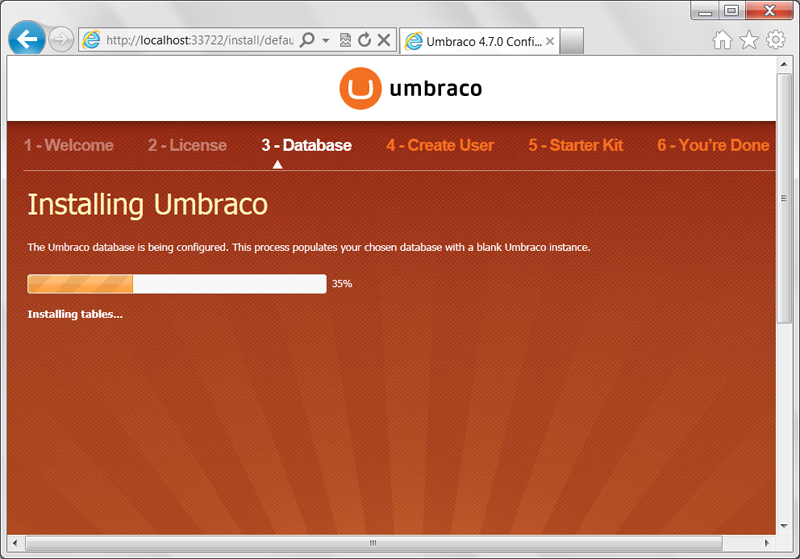 Now the application will debug successfully and the Umbraco installation wizard will start to configure Admin and DataBase details. 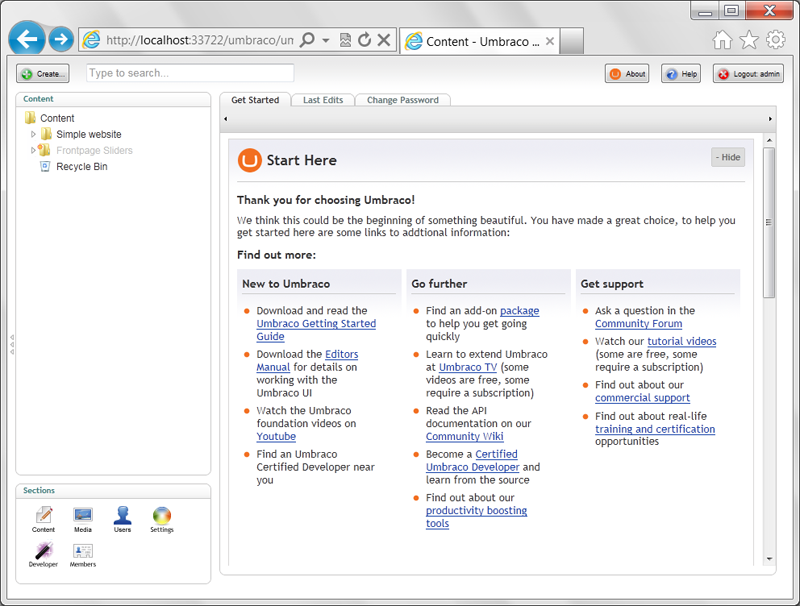 The 5 steps of the wizard are displayed below.